May Is Better Speech And Hearing Month! Home » speech » May Is Better Speech And Hearing Month! 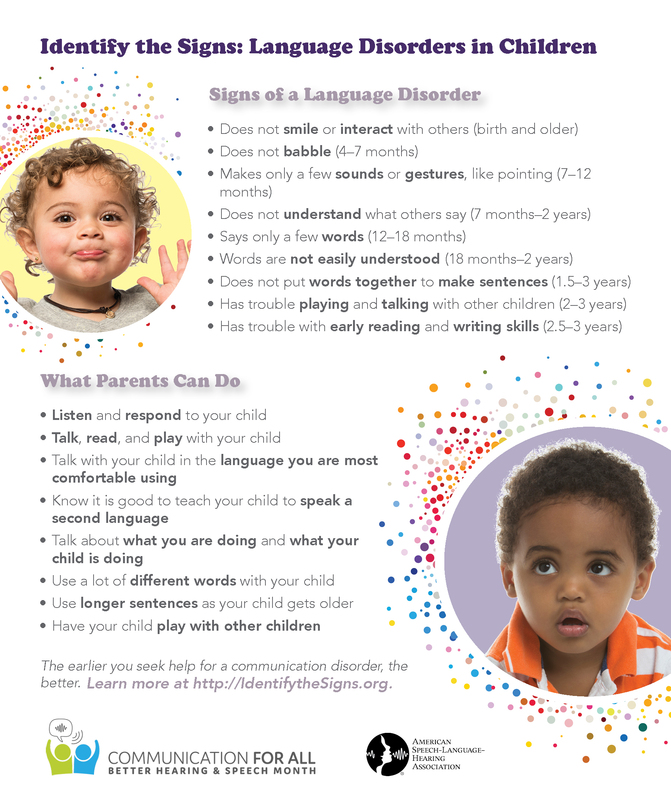 May is a month dedicated to raising awareness about communication disorders and to promoting treatment that can improve the quality of life for those who experience problems with speaking, understanding, or hearing. Let’s take a moment to highlight the important role that Speech Language Pathologists play in communication. Communication disorders are among the most common disabilities in the United States, according to the American Speech-Language-Hearing Association(ASHA). ASHA defines a language disorder as “the impaired comprehension and/or use of spoken, written, and/or other symbol systems. The disorder may involve the form, content, and/or function of language in communication. You may have noticed Speech Language Pathologists have the letters CCC-SLP after their signatures. These letters stand for Certificate of Clinical Competence, a nationally recognized credential; they signify that the Speech Language Pathologist has completed extensive training and preparation, including undergoing a rigorous academic program and supervised clinical experience, passing a national exam and completing an internship. 20 minutes can go a long way! Yoga and Kids: What Are The Benefits?